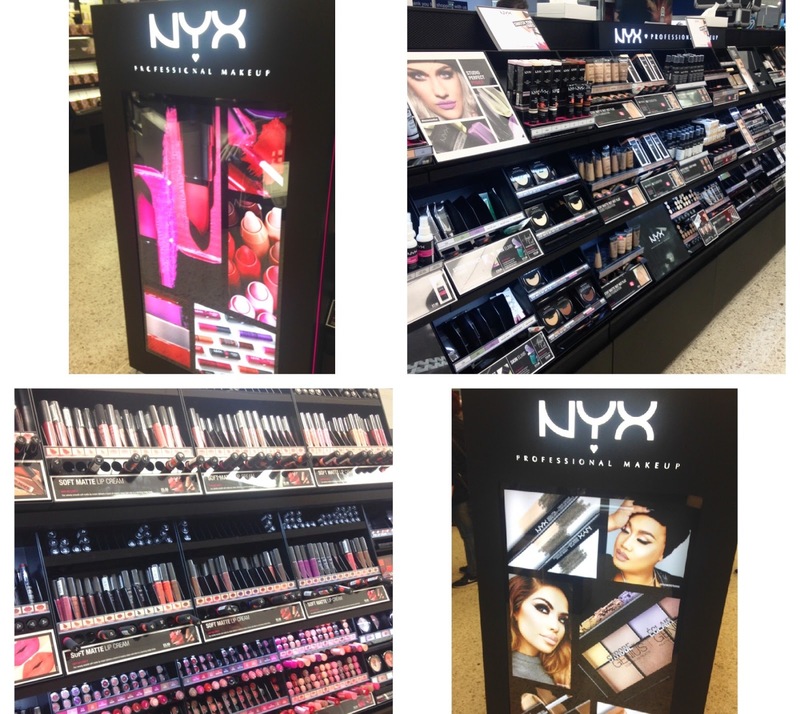 FINALLY.....my local Boots in Chester have a brand new beauty counter from the brilliant NYX! I have been a lover of the NYX lip creams for some time now but I don't often test out other products from their range as I prefer to browse products in person, rather than online, so I can see with my own eyes the different shades, and my gosh do NYX have a MASSIVE selection of different shades to choose from. So after work today I took myself into Boots and I was like a kid at Christmas! The stand was much bigger than I expected and lots and lots of beauty lovers were surrounding the shelves just as excited as me. There was one lady assisting everyone and you could tell she had had a busy day trying to keep all of us beauty product lovers happy and with our hands full of things to take to the tills. I didn't realise how big the range was, from their famous lip creams to primers, contour palettes, endless shades of eye-shadows (singles and palettes) and lip creams/lipsticks/lip glosses/lip balms, you name it, they had it. They even stock all of your beauty essentials such as makeup brushes, sponges and tweezers. I had quite a few Boots advantage card points saved up so I thought I would treat myself and one lucky reader too. You could win this little bundle, which was handpicked by myself, pictured below. NYX Butter Gloss in shade Creme Brulee. NYX Single Eyeshadows in shades Lace & Over The Taupe. NYX High Definition Blush in shade Hamptons. NYX Vinyl Liquid Liner in shade Black Noir. These are all products I would use myself (or already have) and I think they would be perfect additions to anyone's collection. If you would like to enter the giveaway then please follow the instructions on the Rafflecopter widget below. T's & C's apply and are below so please take a read before entering. I haven't tried NYX products before. Thank you for the competition, I would love to try them. Actually I had to order the NYX Tame & Frame Tinted Brow Pomade for my daughter today to collect tomorrow. Seems to be so popular she couldn't find any in the brunette shade in store. I absolutely LOVE NYX products! Never tried it but would love to. I've not tried it yet, looks great! 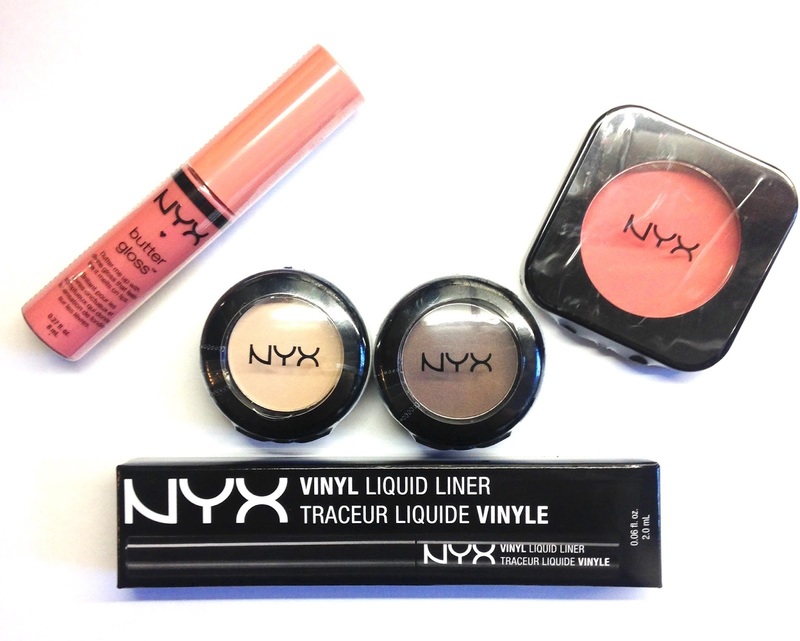 I love NYX, my fave is their tame & frame brow pomade but I'm dying to try their liquid liner! My absolute favorite Nyx product is the eyebrow cake powder! I haven't tried them, but would love to, thanks. I haven't tried NYX yet but have heard amazing things about the products. I havn't tried it yet but have heard great things and would love to try. I have not tried any yet but would love to. Haven't tried any yet but read such good reviews!